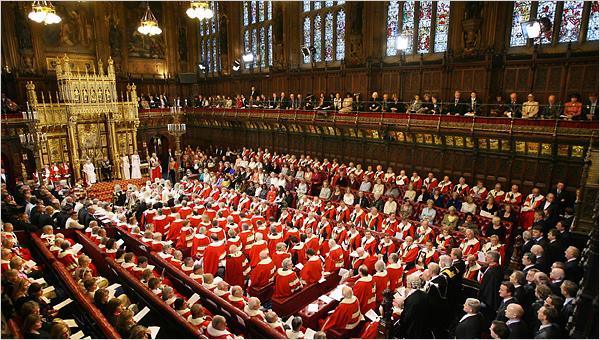 Rogue peers should be subject to immediate suspension from the House of Lords when scandals break, a senior Labour peer has said. Lord Soley, a former chairman of the Parliamentary Labour Party, made the call in a letter to Lord Speaker Baroness D'Souza in the wake of the allegations against Lord Sewel. Peers should be forced to retire when they reach old age to ensure the House of Lords remains "fit for purpose", the Lord Speaker has suggested as she ordered a review into the code of conduct. Writing in The Daily Telegraph, Baroness D'Souza warns reform is “vitally necessary” if the body wants to retain public support in the wake of the Lord Sewel scandal. Again, no, we are not persuaded. It's entirely possible to have a very different conversation about whether there should be a House of Lords at all, we should have a unicameral system, one with an elected second house, one selected by sortition, any number of variables. But the real point of a second house at all is to have one that acts as a limit upon the enthusiasms of the mob that directly elected politicians are subject to. And for that limiting to be effective there must be no way to remove those not convicted of some criminal offence of some specific level of gravity. For, given how many things are illegal these days there's absolutely no one who cannot be accused of breaking some law or another. And wouldn't it be remarkable if it were those who were being particularly bloody minded about opposing the executive of the day who were so accused? After all, at least part of this outrage about Sewel was that he was doing something entirely legal: consorting with ladies of negotiable affection. Something that really is entirely legal in this land, however much it might not be to your or our taste. Being able to throw peers out because they were a bit doddery, or because a newspaper disapproved of their activities, would greatly weaken the House's ability to be independent of the whims of the passing society. And given that that's what they're there for, to limit the impact of passing fads, we oppose such a change.